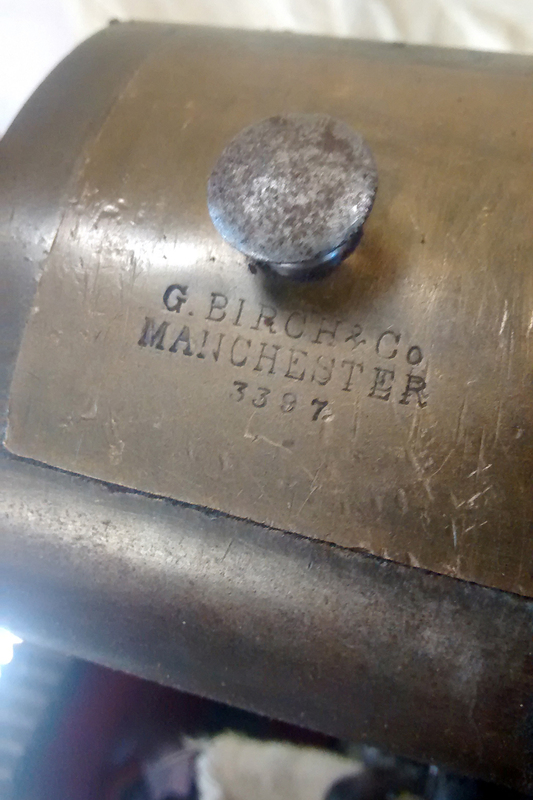 George Birch & Co. of Manchester, England, are known to have made, from the late 1800s into the early years of the 20th century. 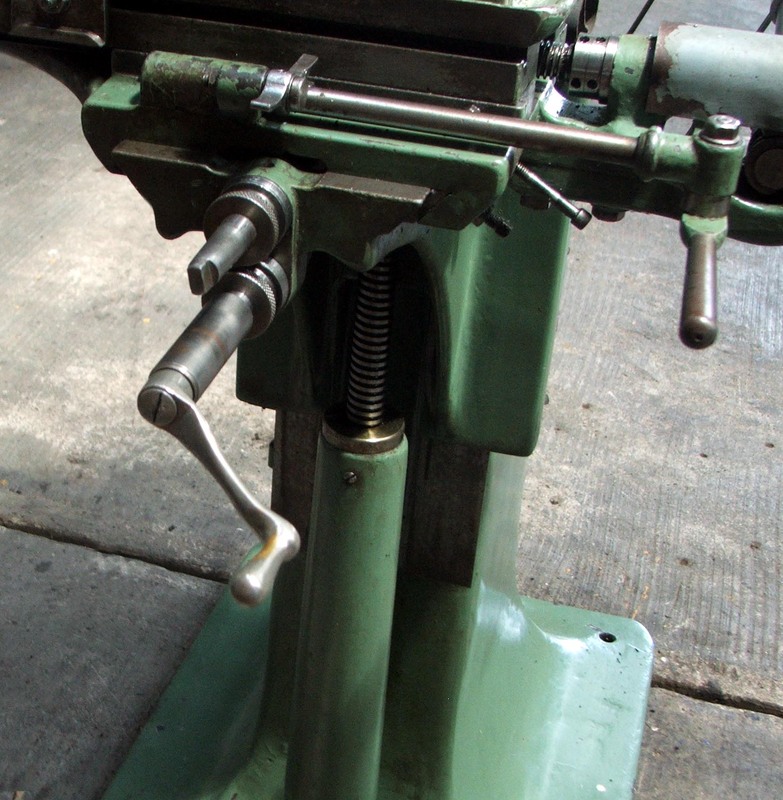 a range smaller machine tools including quite ordinary lathes and backgeared and plain horizontal milling machines. 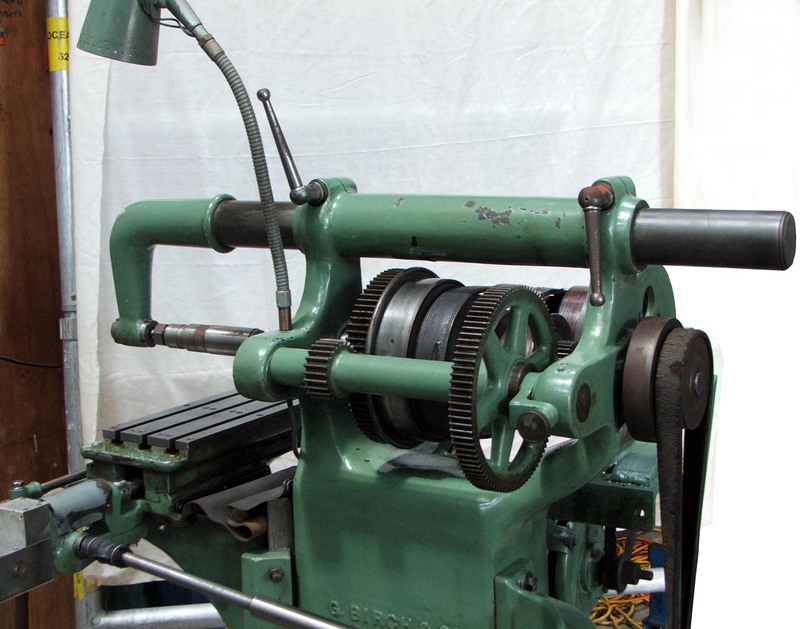 Although the majority of Birch machines might have been quite prosaic - and sold for primarily for machine-shop use - they also made a number of beautifully constructed and complex lathes for ornamental turning. 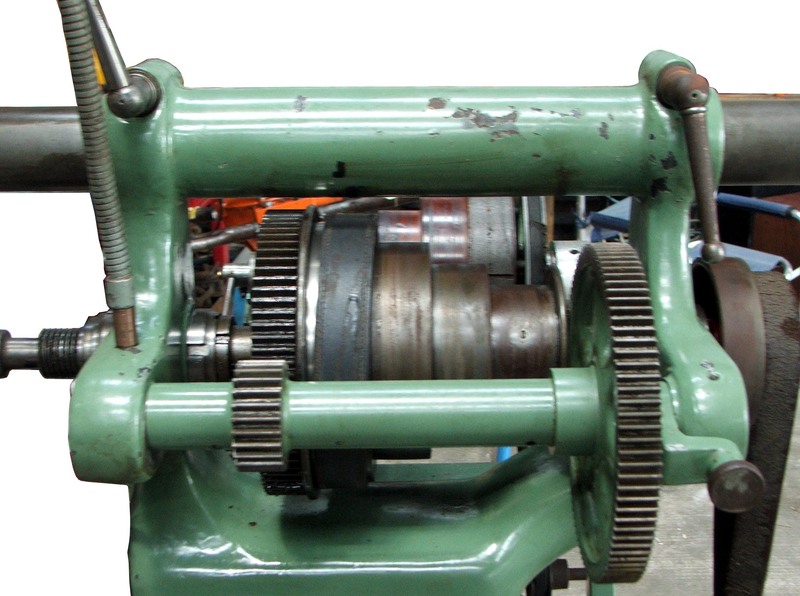 Typical of its era - circa 1890 to 1900 - the flat-belt drive horizontal milling machine shown below was offered with a decent specification: backgeared for slow speeds with greater torque (essential with flat-belt drive), power-feed to the table (with an unusual arrangement of the worm-and-wheel gearing on the end of the leadscrew, making the table assembly rather long), a tall, well-supported knee casting and (of doubtful benefit) tapered stems on the feed-screw shafts to take demountable crank handles. 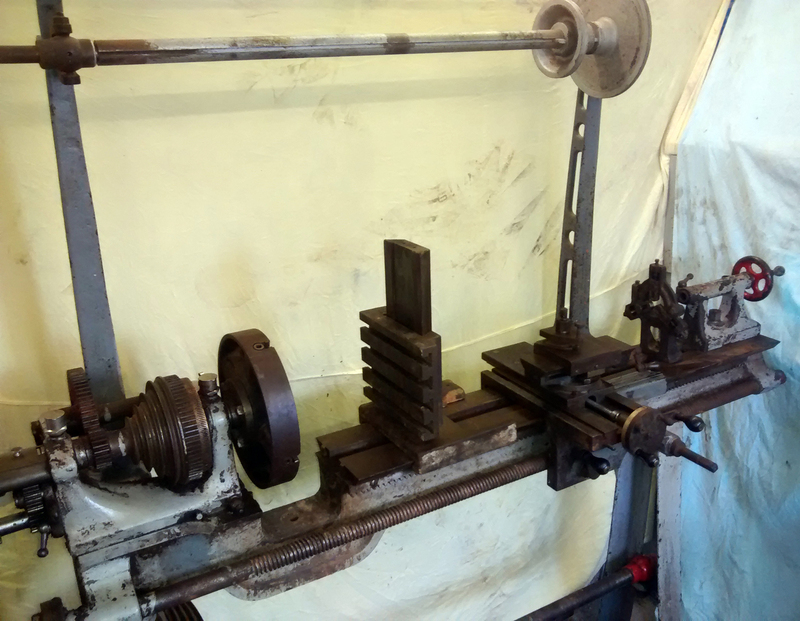 However, like all machine tools of its generation, the castings - being rather slender and over-elegant in design - lacked rigidity and so would have limited the rates of metal removal possible. 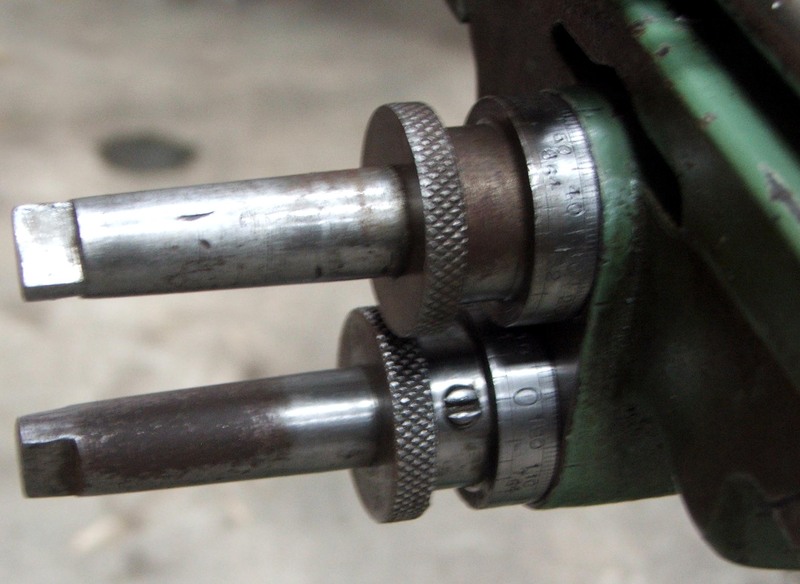 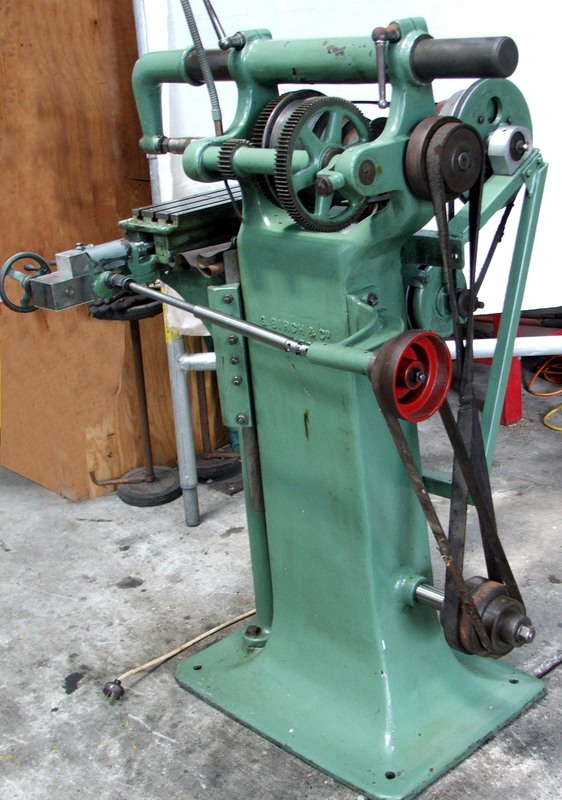 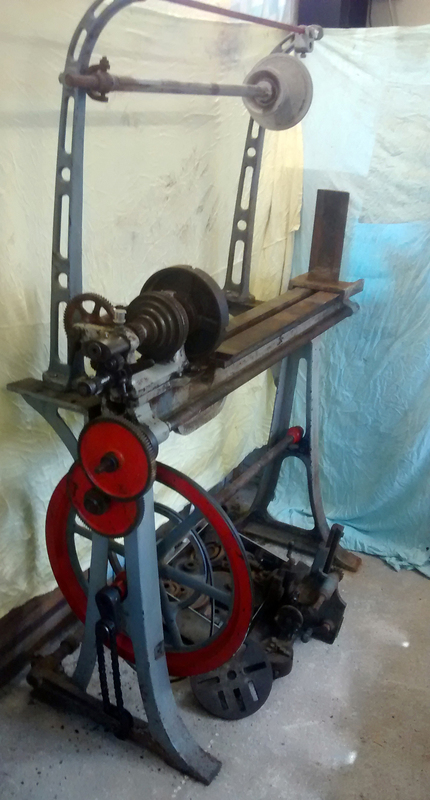 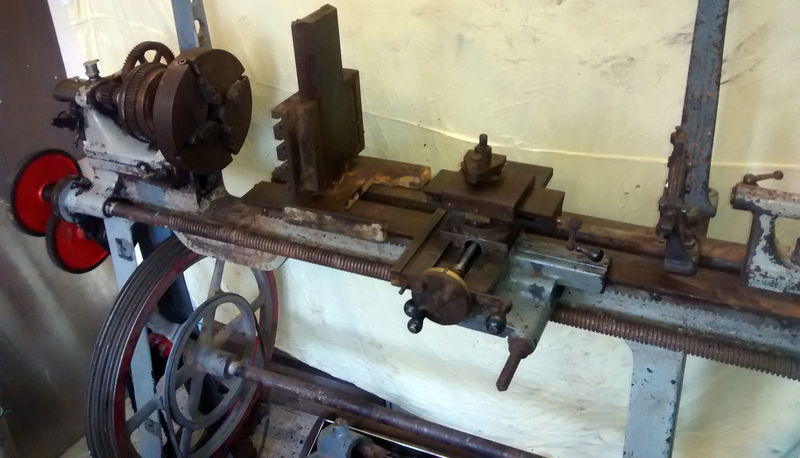 If any reader has a Birch machine tool and can contribute photographs or technical details the writer would be very interested to hear from you.